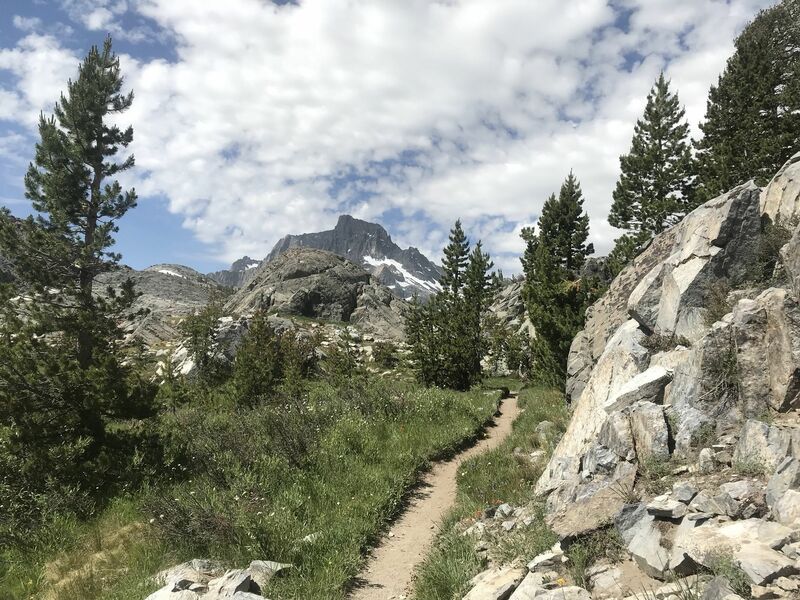 Thousand Island Lake via PCT is a 17.4 mile moderately trafficked out and back trail located near Mammoth Lakes, California that features a lake and is rated as difficult. 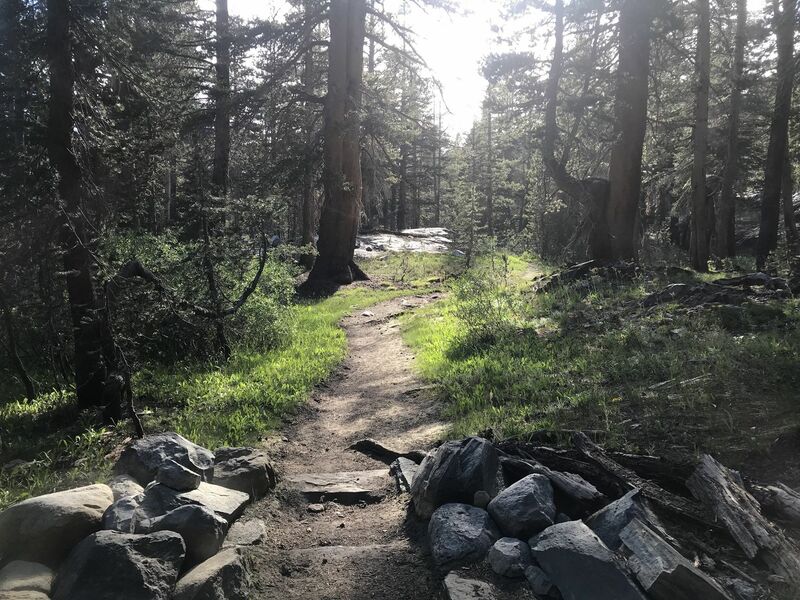 The trail is primarily used for hiking, camping, and backpacking and is best used from May until October. Dogs are also able to use this trail but must be kept on leash. 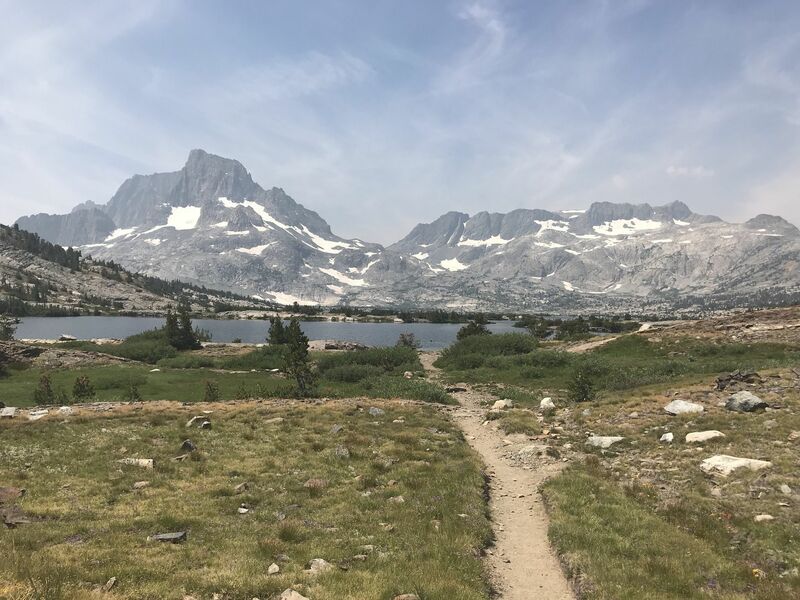 This is a backpacking trip through the Ansel Adams Wilderness along the Pacific Crest Trail to Thousand Island Lake with nearby day-hikes focused around Banner Peak. 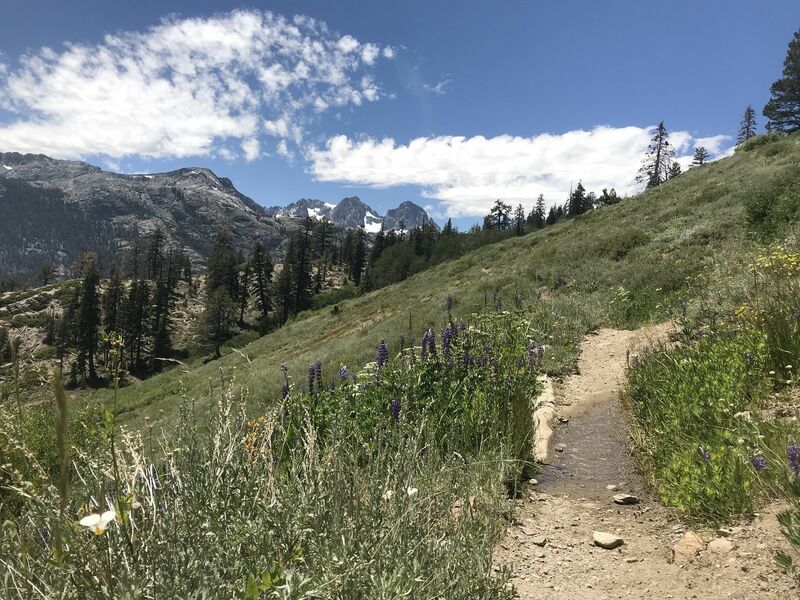 Day hikes include a secluded pond with a panoramic view of Thousand Island Lake, Lake Catherine with a perfect view of the glacier between Banner Peak and Mount Ritter, and nearby Garnet Lake. 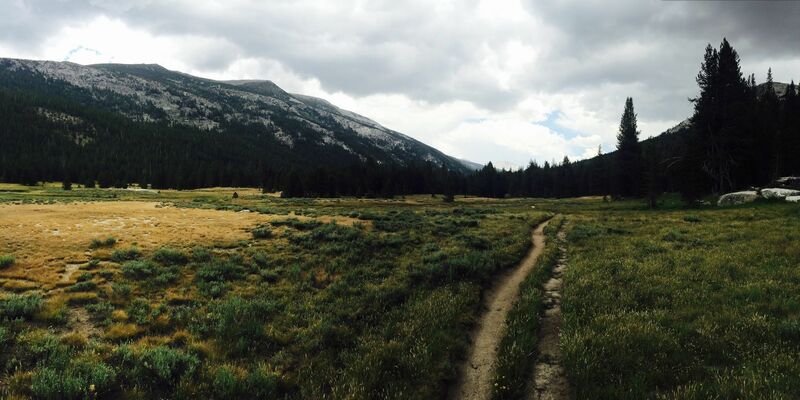 The trailhead for this route is at Agnew Meadows Campground which has overnight camping available with permit. The trailhead is accessible by vehicle via Minaret Road but passenger vehicles are not permitted between 7:00am and 7:30pm. A shuttle is available from the Mammoth Mountain Inn. From the Agnew Meadows shuttle stop walk down the dirt road past the pack station and onto the Agnew Meadows parking lot and campground area. Restrooms and running water are available at the trailhead. 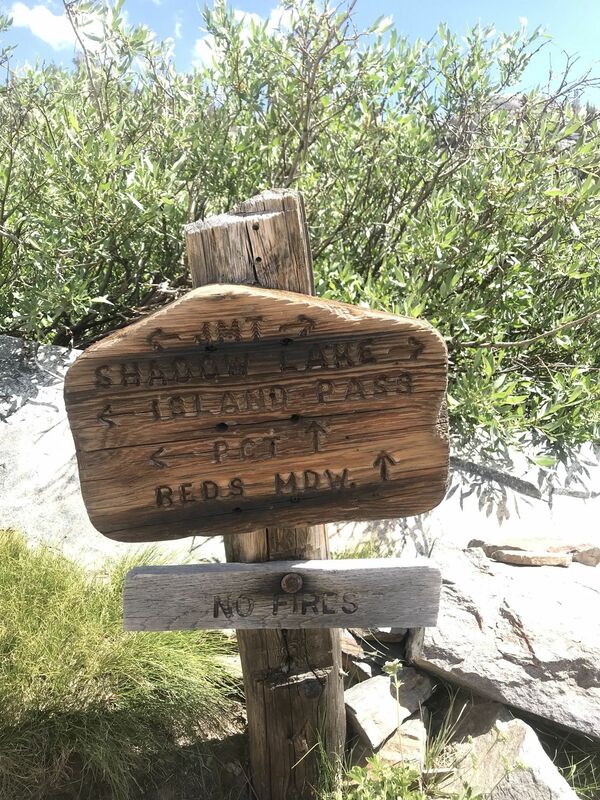 The trail is well marked and follows the Pacific Crest Trail all the way to Thousand Island Lake. 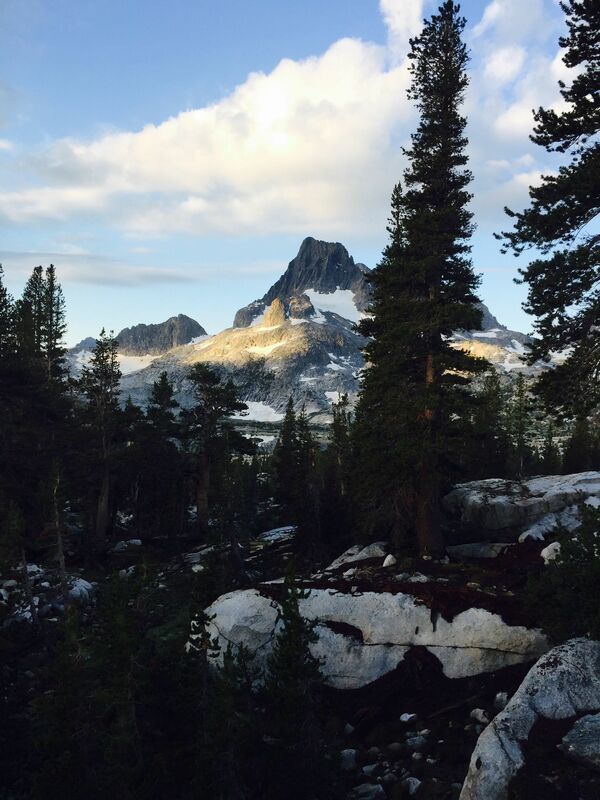 The Pacific Crest Trail will take you to the eastern shore of Thousand Island Lake. 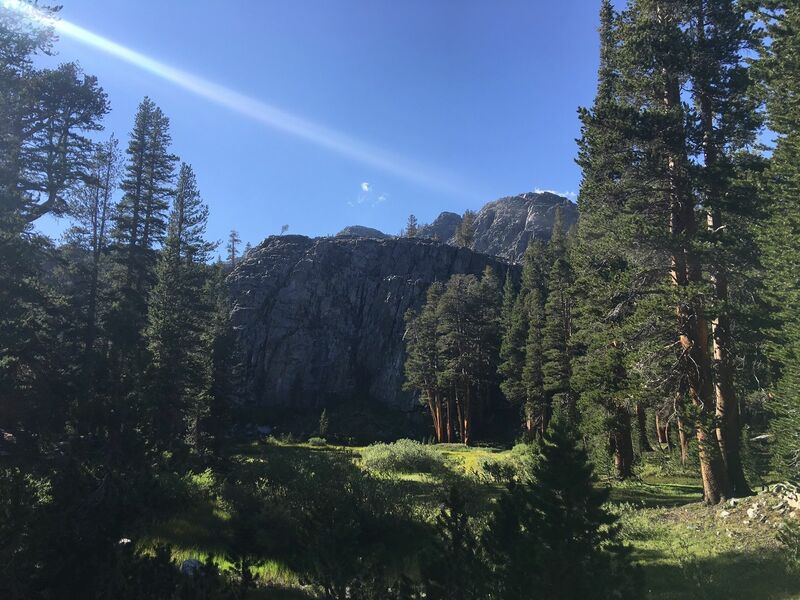 This is a great place to camp the first night but make sure to check with the Mammoth Ranger Station for information on what areas have restrictions for overnight use. 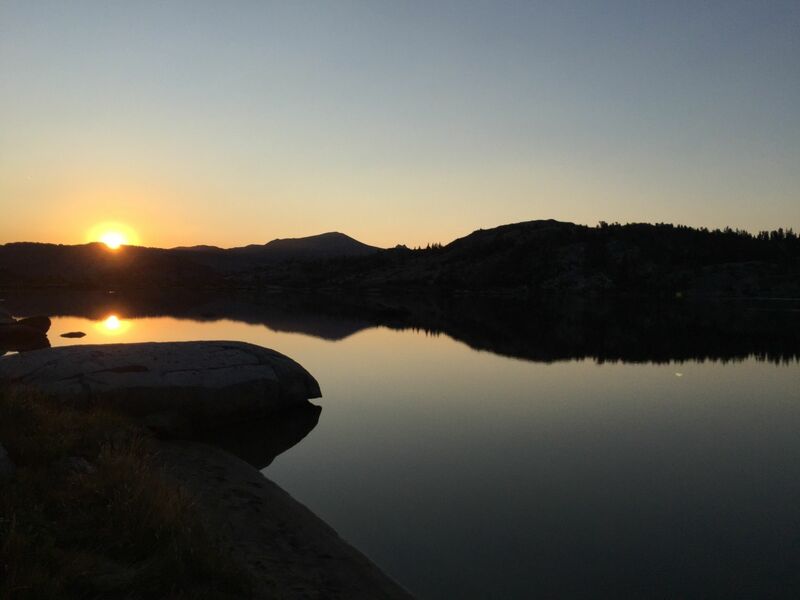 The lake is well stocked with fish so make sure to bring a fishing license. 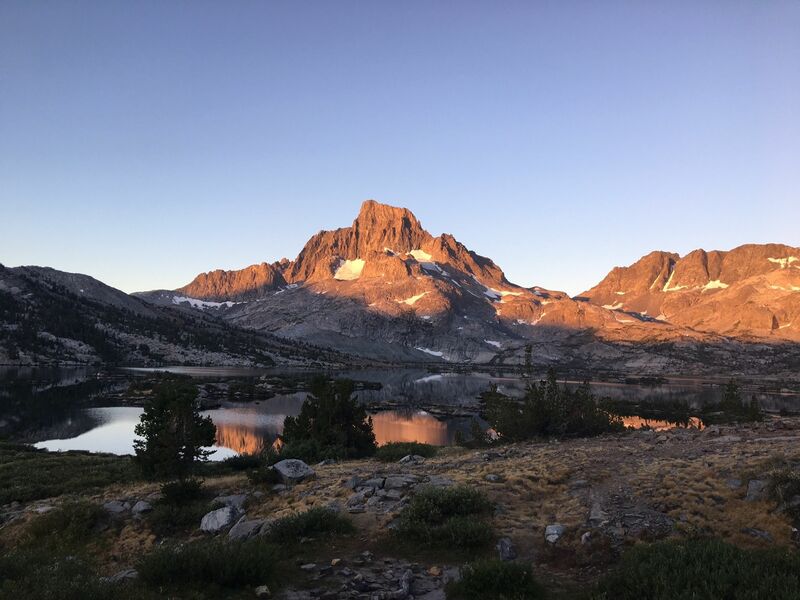 After your first night on the eastern shore of the lake make sure to travel to the western side to get some amazing views of Banner Peak. Plenty of leveled spots are available in this area. 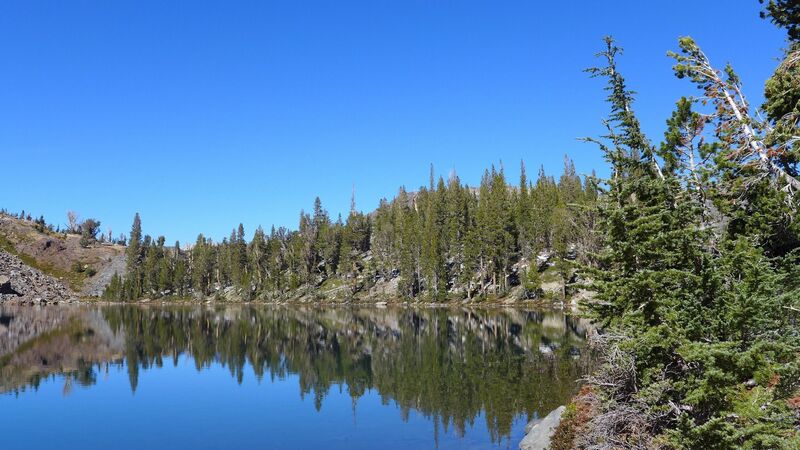 This is a great place to use as a basecamp for both Lake Catherine and Garnet Lake. The secluded pond is along an unmarked but semi-traveled path. The head-on views of Thousand Island Lake are spectacular from here and you are very unlikely to see another soul at this location. 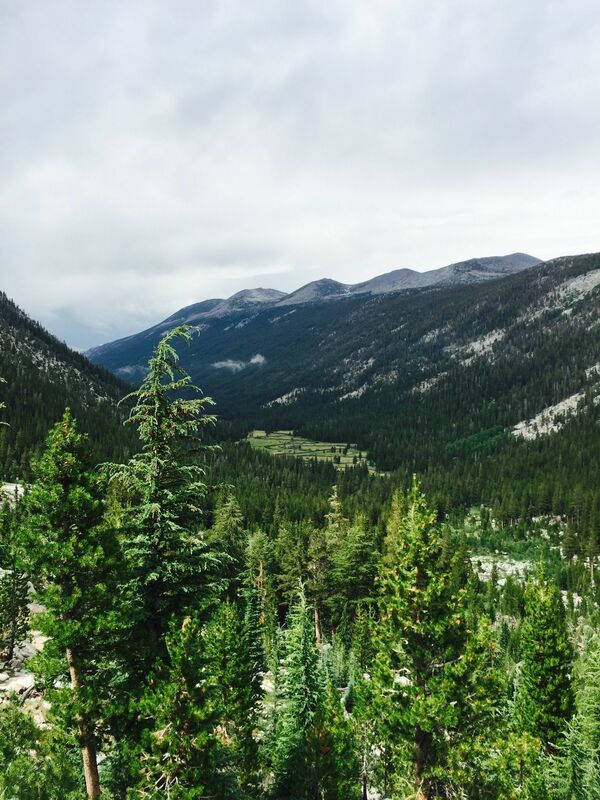 This is the prefect place to catch your breath before the long haul to Lake Catherine. 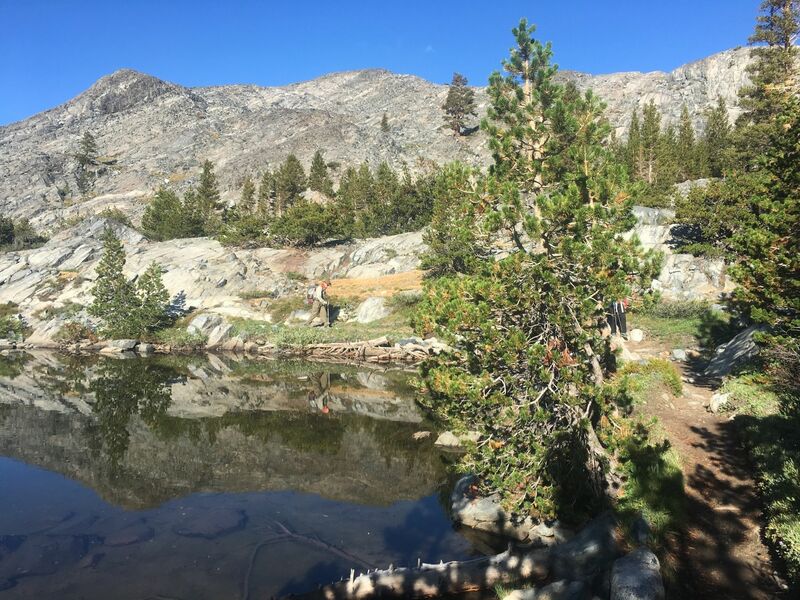 After climbing over the ridge from the secluded pond make your way up towards Lake Catherine by following the large rock field. 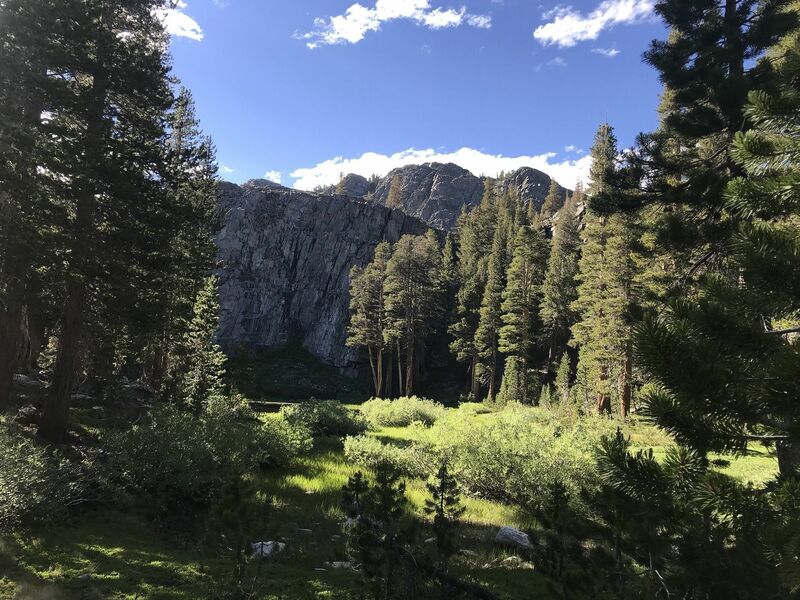 Visitors who are new to scrambling should beware of trying to avoid the rock field by traveling along the shoulders of the valley rather than the center of it. The talus is loose and somewhat fragile in these areas. 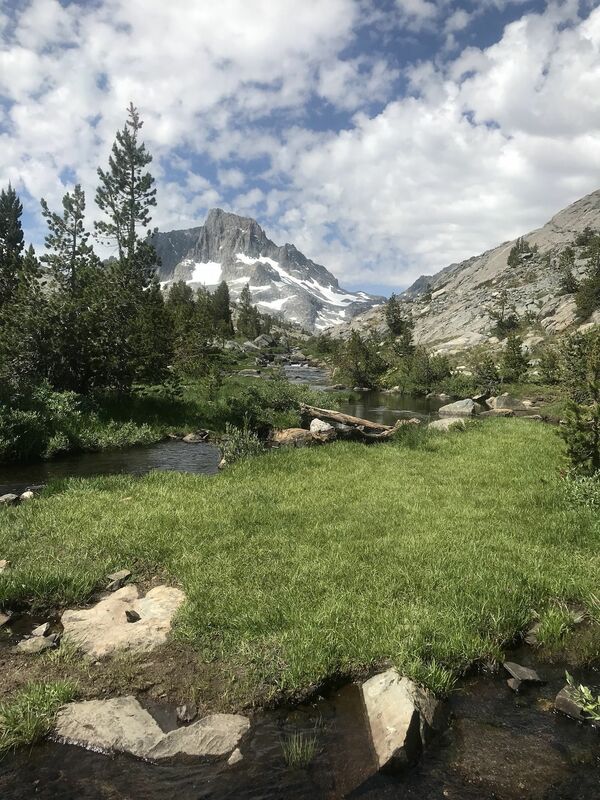 Once you have summited the ridge you will descend towards Lake Catherine to enjoy the cold water and views of one of Banner's largest glaciers. To get back to camp follow the trail along the valley which will take you all the way back to the lake. From your base camp below Banner make your way southeast by following the various use trails. The path over the ridge to Garnet Lake is well traveled and easy to follow. 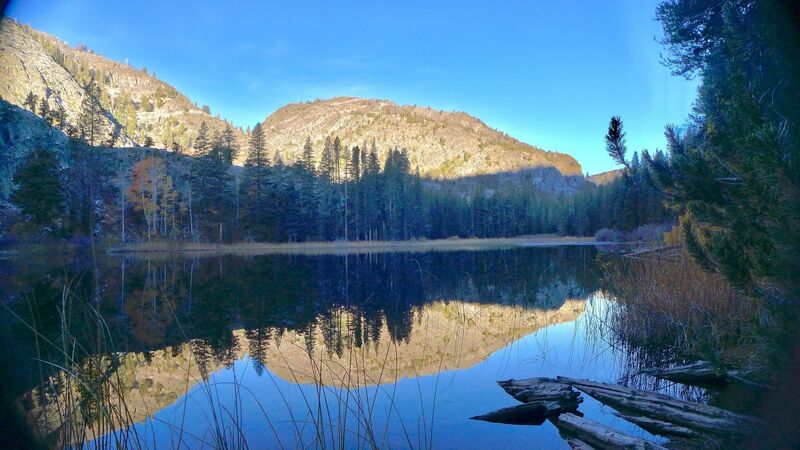 Take a break at the large pond and streams above Garnet Lake which produces some great reflections of Banner Peak. 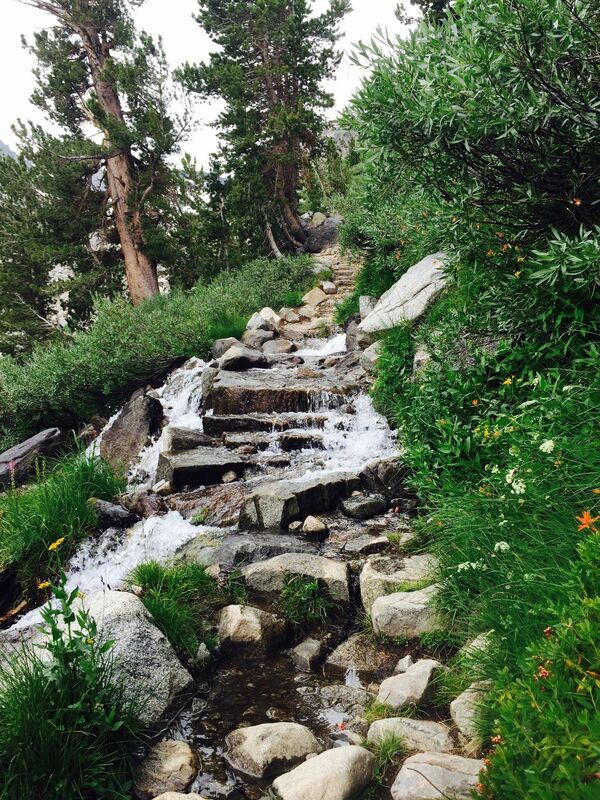 Continue to follow the trail down to Garnet Lake. Like Thousand Island, this lake is well stocked with fish for those who are interested. - It is recommended that travelers have some backpacking experience. 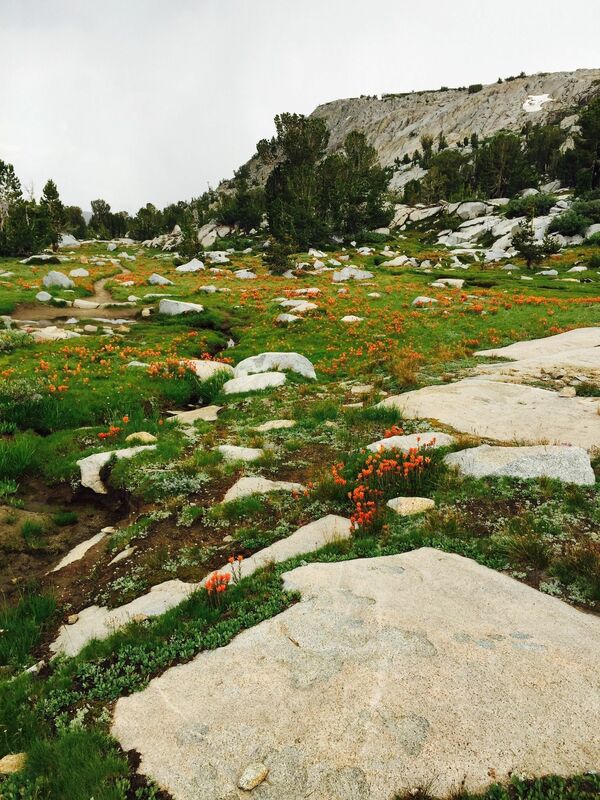 - This route requires a wilderness permit which can be obtained from the Inyo National Forest. - Altitude acclimation prior to the trip is recommended. 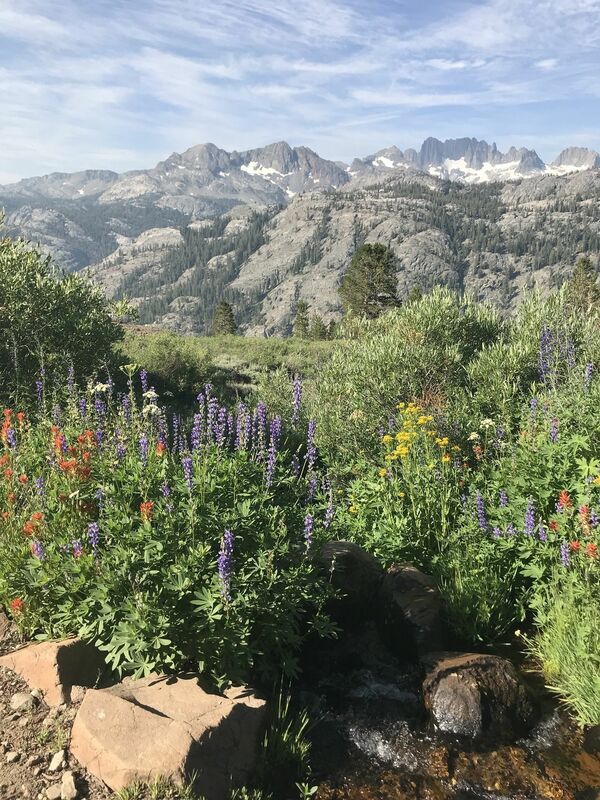 There are plenty of nearby motels in Mammoth Lakes, CA. - A shuttle runs from the Mammoth Lakes ski resort to the Agnew Meadows trailhead. - A bear canister is required in this area. 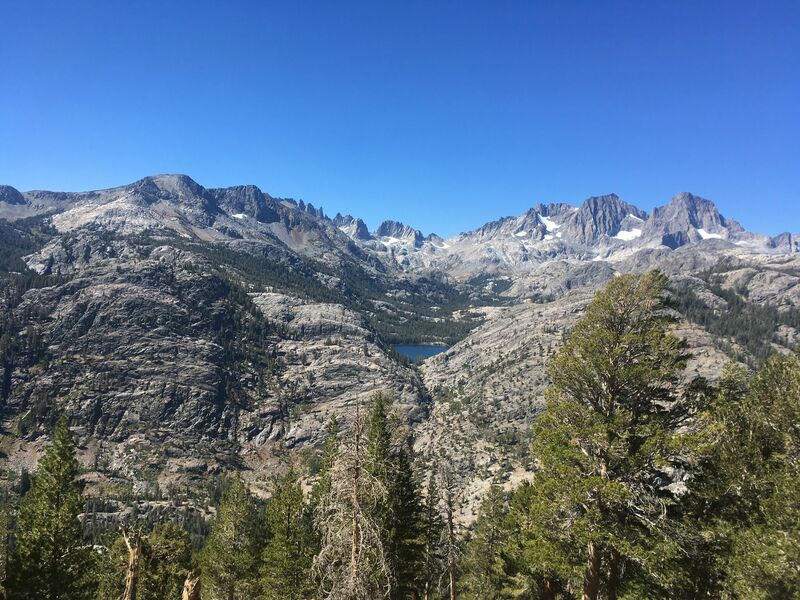 My wife and I did this trail as an overnight backpacking trip on 9/16/18. We were celebrating our one year wedding anniversary and we couldn’t have picked a more beautiful location. Rather than doing this as an out-and-back, we decided to do it as a loop. 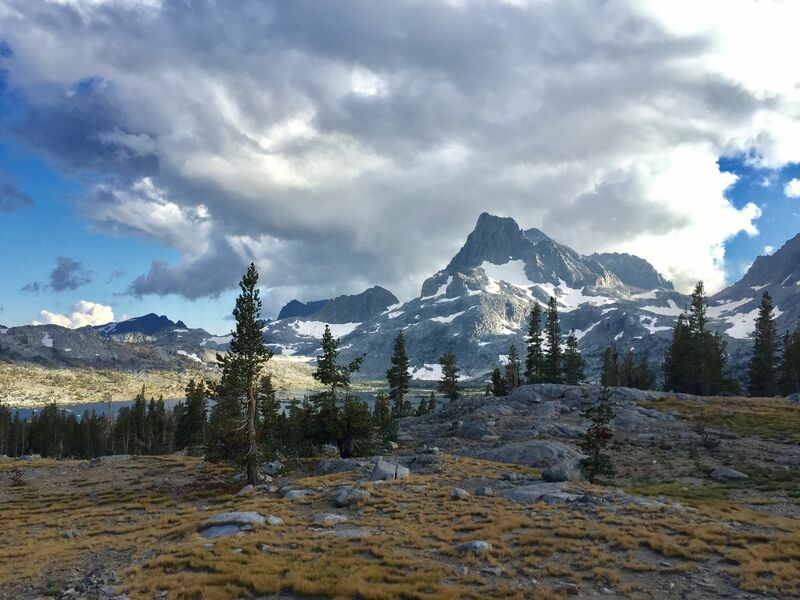 We began on the High Trail (PCT) from the Agnew Meadows Trailhead toward Thousand Island Lake. 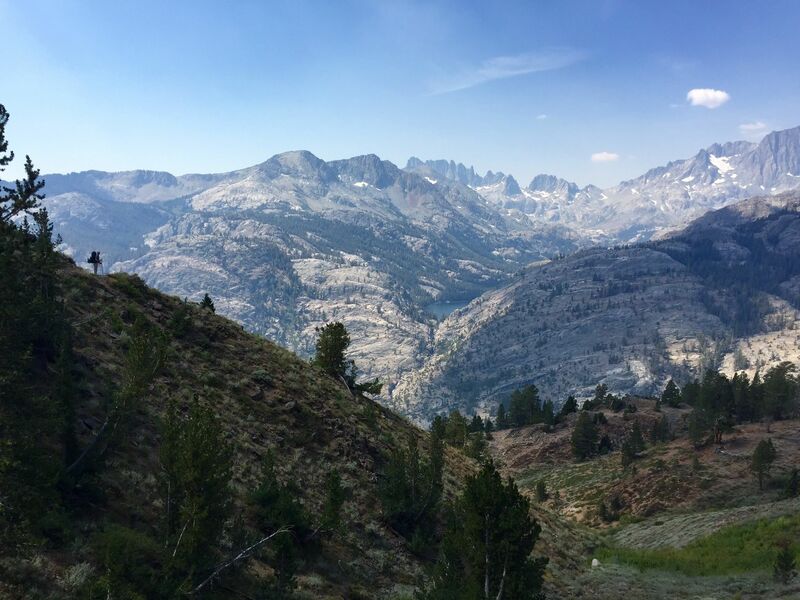 At about the three mile mark you get a spectacular view of the Minarets, Mt. Ritter, and Banner Peak looming over Shadow Lake. 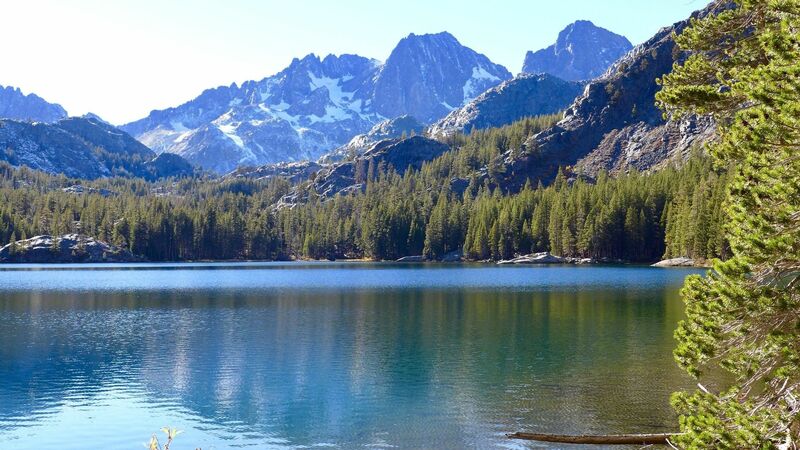 Eventually, about eight miles in, you reach Thousand Island Lake. As you may have guessed, this lake is very unique because it has a ton of islands. 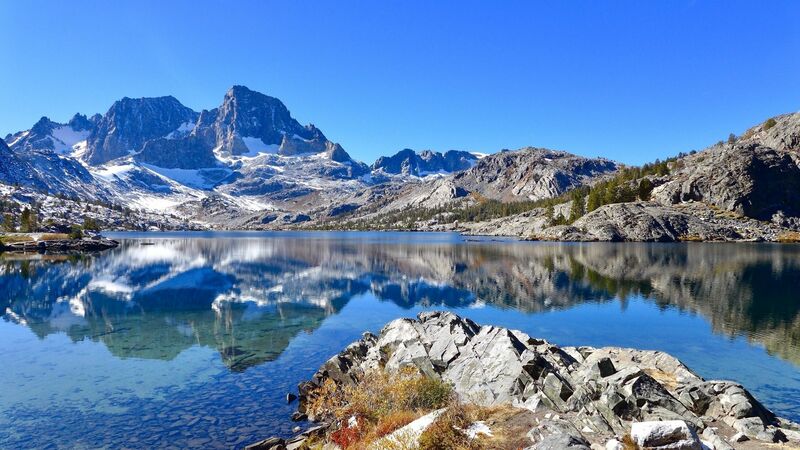 The lake is at the base of Banner Peak, making this a very scenic location to set up camp. 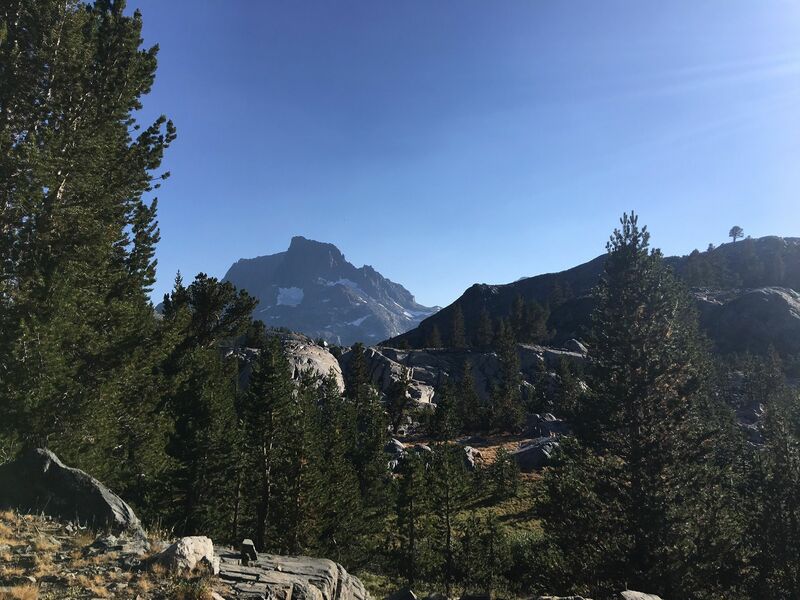 In the morning, we set off southbound on the JMT. 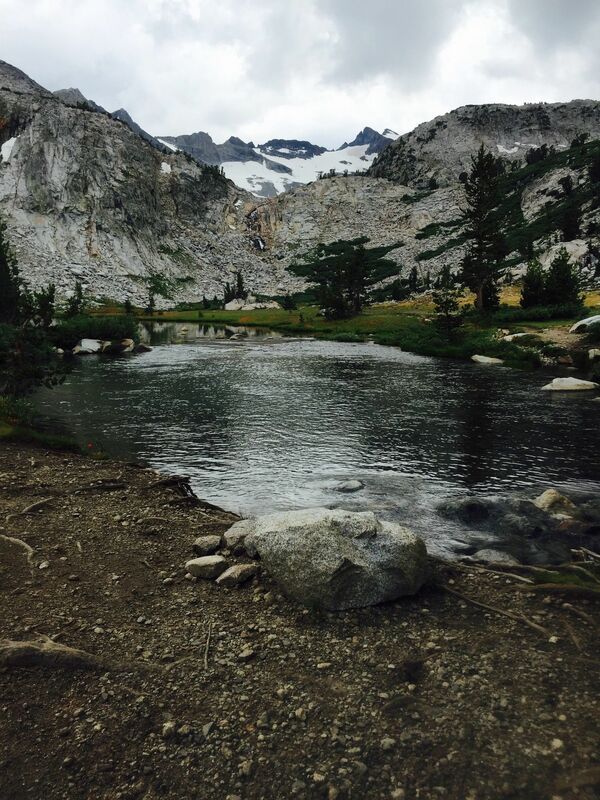 Two miles later we reached Garnet Lake, which provided amazing views of Banner Peak and Mt. Ritter. 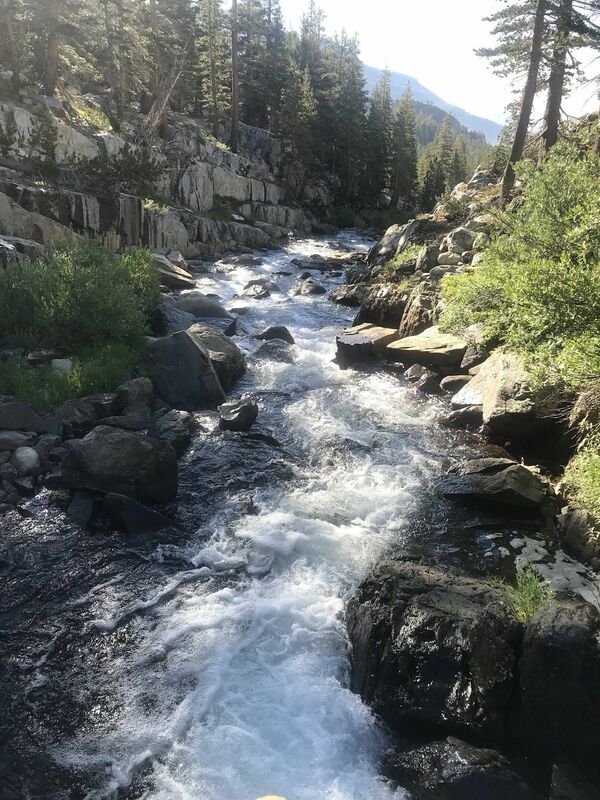 We continued another four miles to Shadow Lake, with the last half mile paralleling a beautiful creek with numerous waterfalls. When you reach the east end of Shadow Lake, you can look back across the lake to the west for an awesome view of the Minarets and Mt. Ritter. Then it’s a steep, rocky descent through the gorge along the Shadow Creek Trail. When you reach the bottom, it’s an easy couple miles and a final uphill push back to the Agnew Meadows Trailhead. 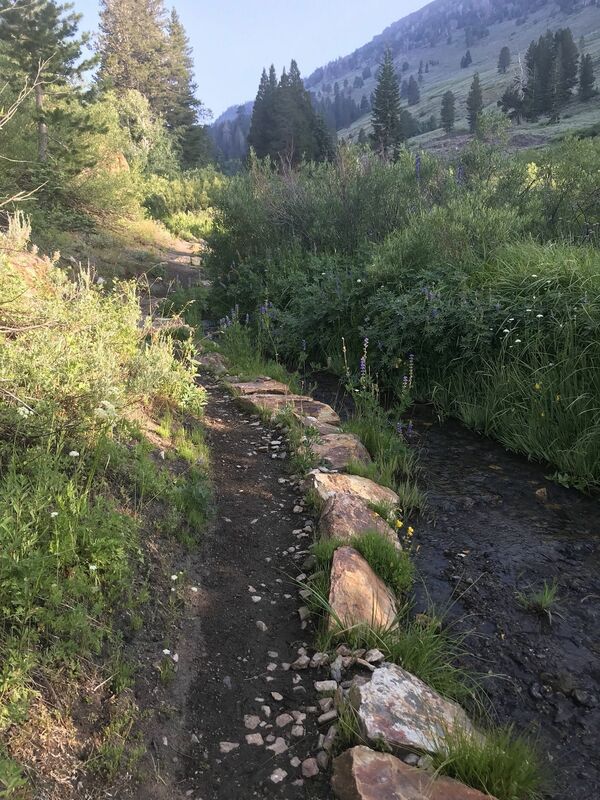 I recorded my loop at 18.7 miles with 3,406 feet of elevation gain. 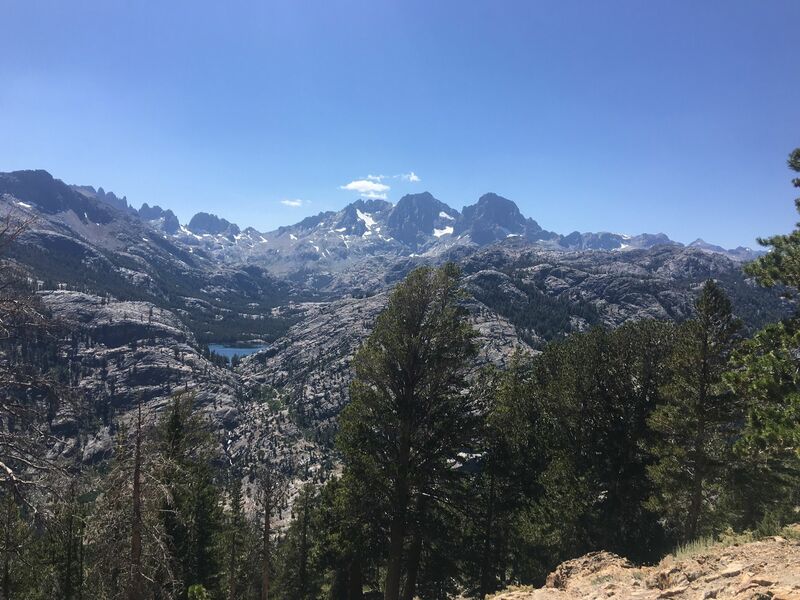 It ended up being just a couple miles longer than the out-and-back to Thousand Island Lake, but with twice as many spectacular views. I couldn’t imagine missing out on everything we experienced on the back half! It was challenging, but well worth it. Mid-September turned out to be a great time to go. 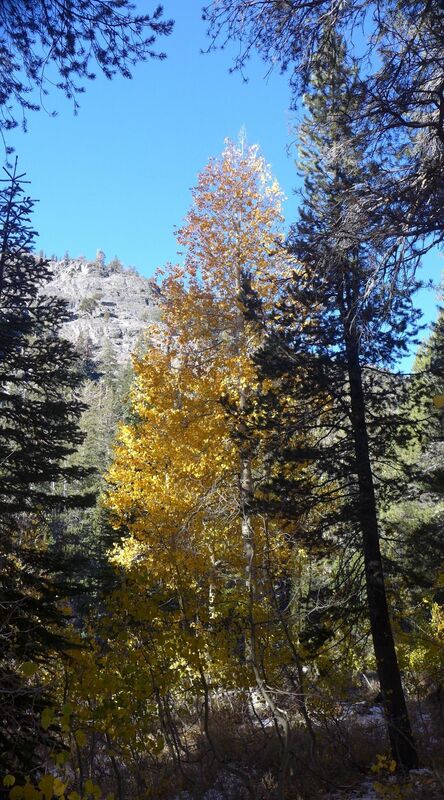 It wasn’t very busy, the weather was great, there were no bugs, and the colors of autumn were starting to appear. It did get pretty cold at night, but it was a small price to pay given the other huge upsides. Overall, this was my favorite hike so far and definitely the most scenic. I would highly recommend trying it! 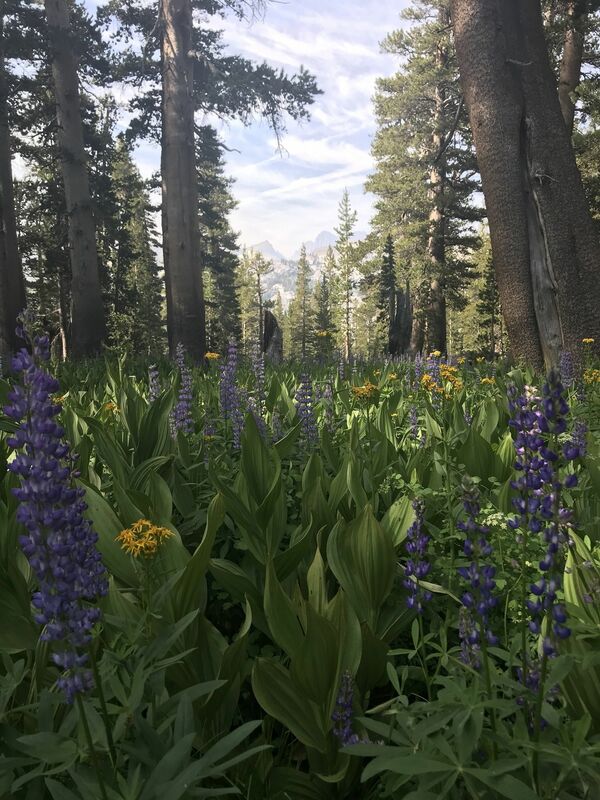 You can download my recording if you decide to try the Thousand Island, Garnet, and Shadow Lakes Loop Trail instead of just the out-and-back trail to Thousand Island Lake. It will make navigating a lot easier! FANTASTIC trail. Rating is accurate at difficult. Would recommend for backpackers to leave early in the morning because there are countless breathtaking panoramics of the Minarets and mountain range around each corner, so taking your time to stop and appreciate it was really something that I'm glad we did. The total hike time was over 6 hours, with a heavy backpack, and we actually had to camp about .5 mile from Thousand Island due to a late start, it getting dark, and being EXHAUSTED! There is a parking lot at the trailhead with Agnew Meadows Campsite just up the road. You can also reach the trail head via shuttle ($9 round-trip) and walk a bit. I would recommend to drive your car down to save time and money. The line for the shuttle was long, the shuttle was crowded, and we were itching to get started much sooner than the shuttle allowed us to. There is a bathroom at the trailhead. 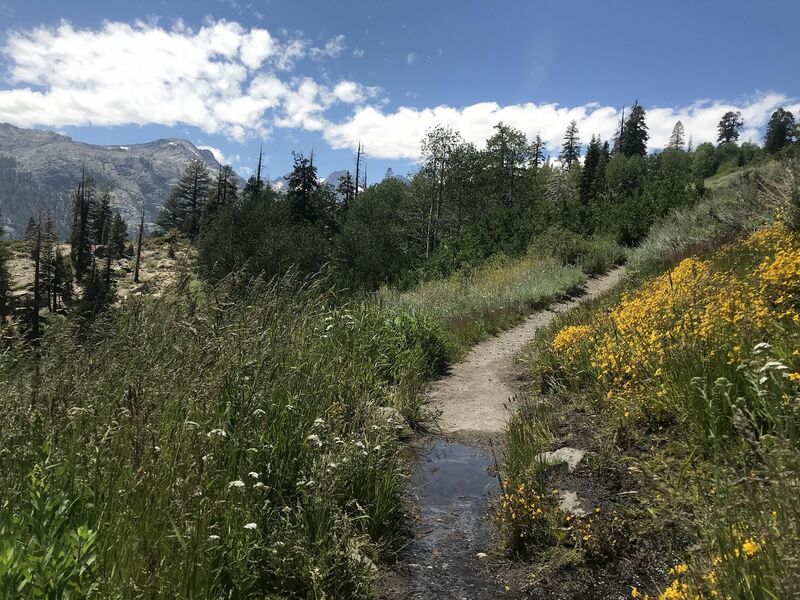 The High Trail via the PCT almost immediately starts at an incline, and then is primarily uphill for majority of the trail. There is a long, open (Sunny) stretch that is relatively flat, and about .5 mile that is slightly downhill, but that meant heading back uphill. Two sets of switchbacks. Both are a short distance, one near the beginning and the other almost at the end. This was difficult but very rewarding. One of the prettiest trails with everything still in bloom. A lot of butterflies, and A LOT of mosquitos. Treat your clothes, take deet and a bug net. Even with deet and a bug net we were still eaten alive and spent most of our time in the tent. There was a bit of wind at the lake itself which meant relief from the mosquitos which was very welcome. Lots of fish jumping, and other travelers fishing! Again, tough trail, but very worth it! Met a lot of nice PCTers. You definitely earn your views! FANTASTIC trail. Rating is accurate at difficult. Would recommend for backpackers to leave early in the morning because there are countless breathtaking panoramics of the Minarets and mountain range around each corner, so taking your time to stop and appreciate it was really something that I'm glad we did. The total hike time was over 6 hours, with a heavy backpack, and we actually had to camp about .5 mile from Thousand Island due to a late start, it getting dark, and being EXHAUSTED! Would have been much quicker without the backpack full and ready for a weekend of camping with a heavy tent. We passed a handful of people doing this trail as a day trail who were making great time if that's the route you're hoping to go. Again, would recommend to leave early even then! Luckily summer days are long and offer sunlight until late in the evening. Snow the day before made for an beautiful mid-October day hike, @ 19 miles via River Trail. Enjoyed every step of this hike yesterday! We were not in great shape, and we took our time. We stopped often for breaks and picture ops. We took the High Trail in to 1000 Island Lake, which was approx 9 miles to the lake. Then we returned on the River Trail which was a mile shorter. Very happy we chose this route. Going in on the High Trail gave us plenty of beautiful scenery. Coming out on the River Trail was mostly easy descending with beautiful Fall colors and views of the River flowing over the rocks. It was a total of 17.5 miles for us. We were tired, so we didn't venture around the lake too much. We got an early 7 am start and returned to our vehicle at 5 pm. We are sore the next day, it was long hike. But I would say it's worth It! 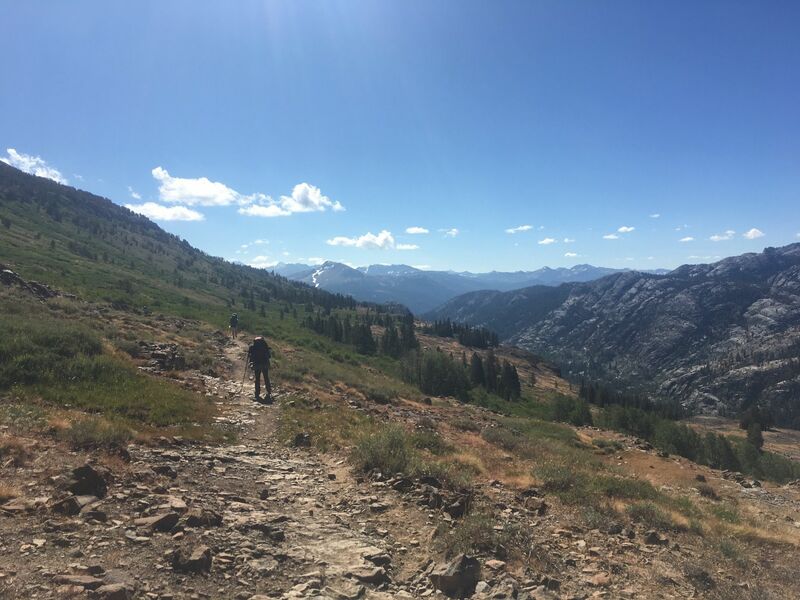 I would absolutely recommend this hike. And I would recommend doing the directional loop as we did. Happy Hiking! Completed 2015. 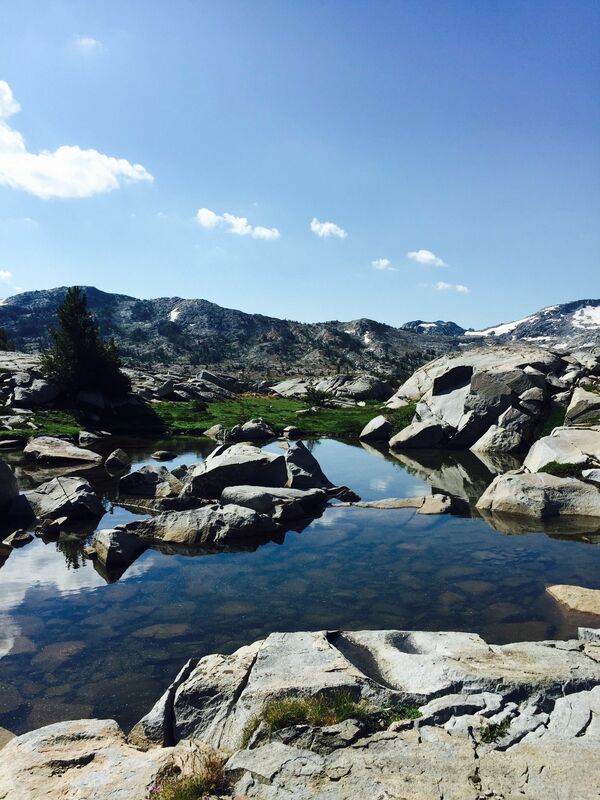 A great intro for me to solo backpacking! 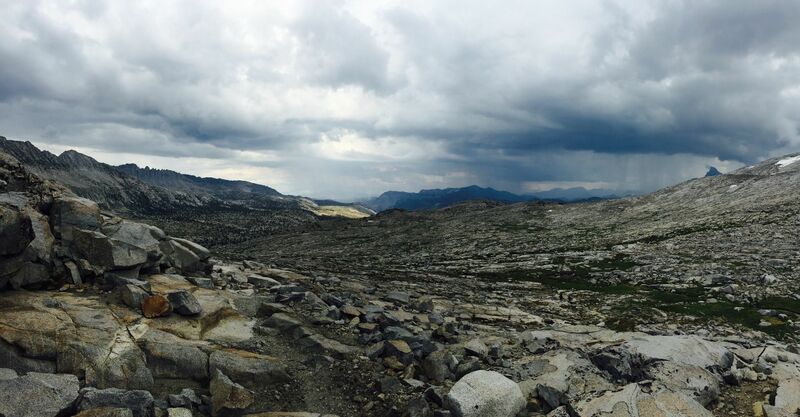 Best part on JMT and PCT...! Lakes after lakes after lakes! 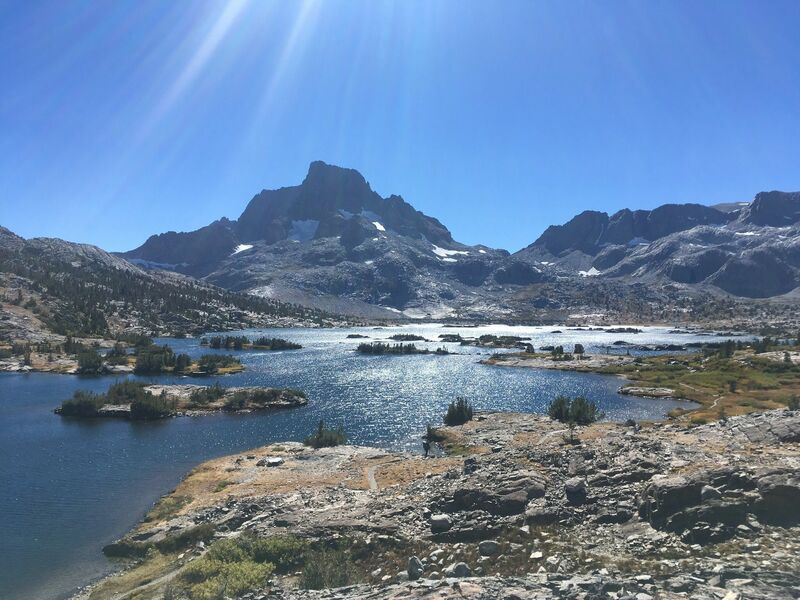 Did an overnighter to Thousand Island Lake and back on Saturday, 17 September 2016, to Sunday, 18 September 2016. 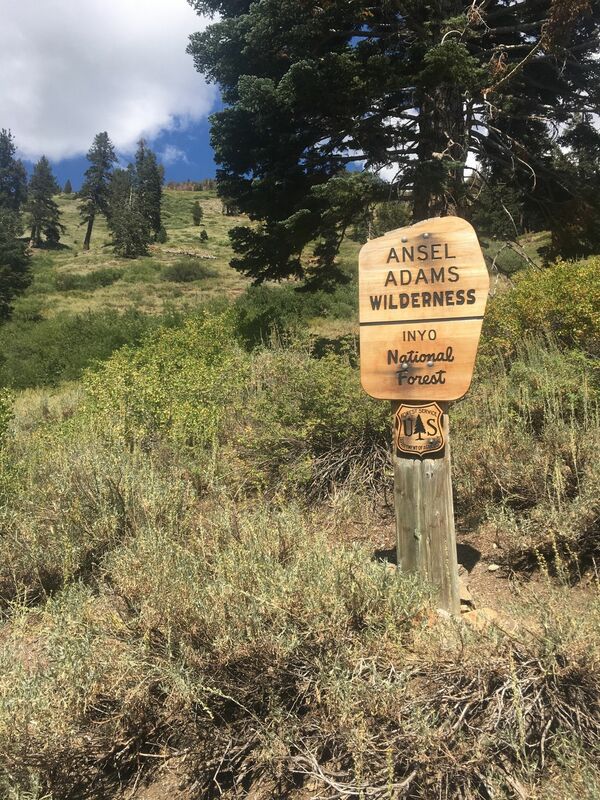 Started 12PM via the PCT High Trail at Agnew Meadows Trailhead. Arrived at campsite by 6:10PM. 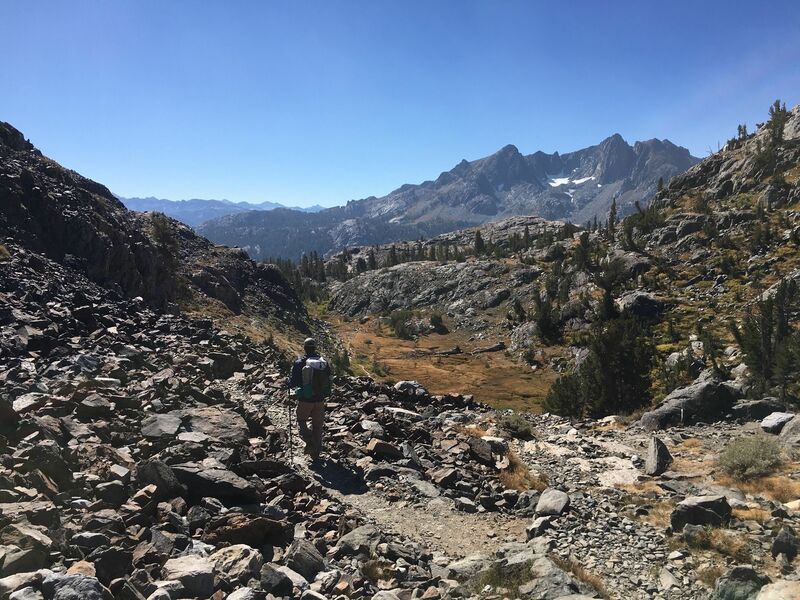 Little more of a brutal/long hike than I expected, but I carried most of the weight for group of two, other person was a little slower as this was a first for them backpacking. Left next day at 11AM via the River Trail. Arrived at Agnew Meadows Trailhead at 3:30PM. Significantly easier and faster hike back. You are descending from Thousand Island Lake the entire way, except for the last 1.5 mile pitch back up to Agnew Meadows, which is pretty steep. Took along a first-time backpacker who did very well but struggled the last two miles both ways. It's a long hike but worth it. This was the first weekend after Labor Day. 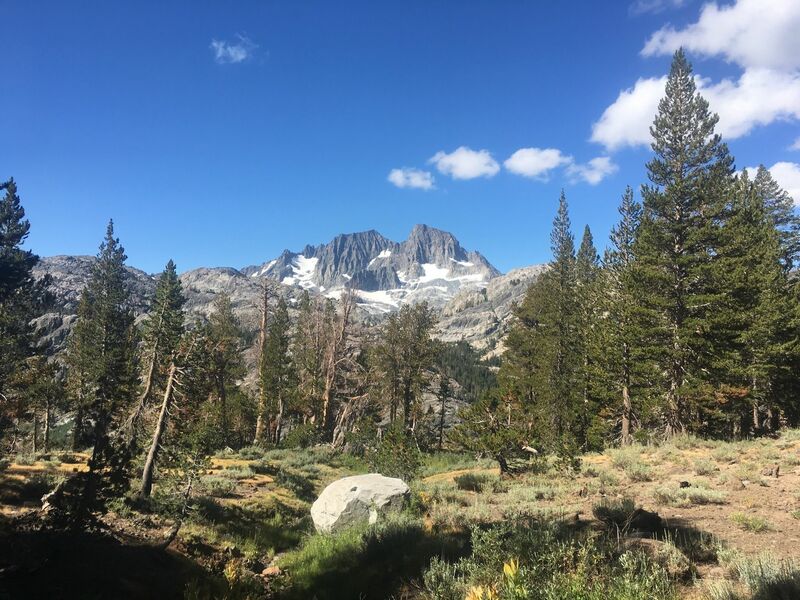 The shuttle was closed down for the season (stops after Labor Day), but the road to Agnew Meadows was still open (closes after October 1, after which you can hike in/ski in from Minaret Vista ranger station. I'm not sure if gate will be unlocked to drive/park at Agnew even if there is no snow. So that would add about 3 more miles to the journey both ways), so we could simply drive to and park at the Agnew Meadows Trailhead since the road was open. However, the trailhead was extremely packed, and there were no spaces to park. I somehow found a way to slip my truck into a small spot between a handicapped spot and a tree. You cannot park your car on any non-dirt/non-paved surface. Cannot park on top of any foliage. They will check this and put stickers on your wheels to mark overnight vehicles. 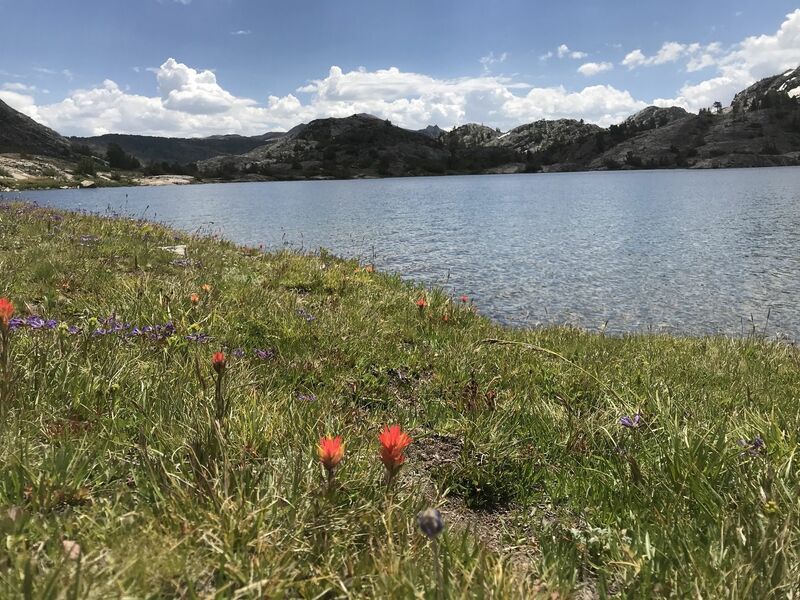 So you can't get away with not purchasing a permit and overnight your hike (they take down your make/model/color when you pick up your permit, not sure how that works for when people get their permits night-dropped though...). Temperatures for this weekend were about high 70s to low 80s during the day. I hiked in camo pants and t-shirt. Could have gone shorts. Temperature fell to high 30s low 40s at night. I went to sleep in shorts and shirt and woke up to put a jacket on (had a black synthetic MSS surplus sleeping bag). Other person had a 0 degree North Face Furnace bag and slept in shorts/shirt and was fine. I don't recall wind being an issue at all. Saw two does and two fawns on the High Trail hiking in. Saw another doe prancing through our campsite right as we were going to sleep towards end of dusk. Woke up and had alpine lake–filtered french-press coffee. 10/10. Altitude didn't prove to be a problem to me, but other person may have been getting too winded for normal towards the last 1.5 mile stretch on the way back. Doing this trip there and back all within 28 hours is probably not recommended for newer hikers. But that's all I could do with when I got the entry date for my permit and a normal work week. 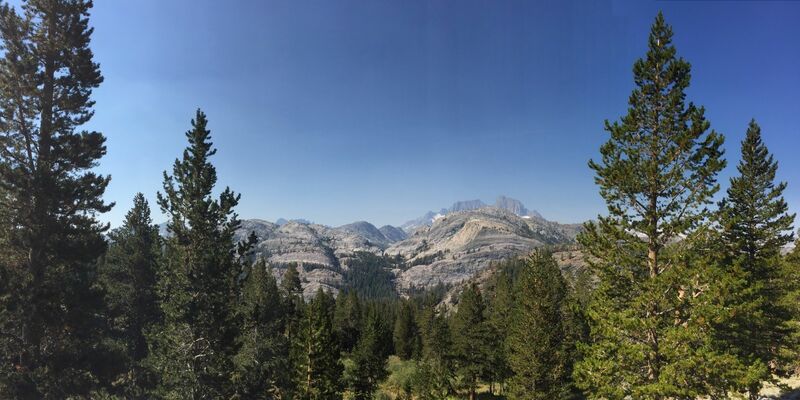 1) $30 fee to get through Yosemite Park ranger stations via CA-120. We left night before entry date so we passed through after-hours ranger stations, so it was free. However, if you go through in the day and pay, the pass should be good for 7 days, which should be long enough to cover you on your return route. 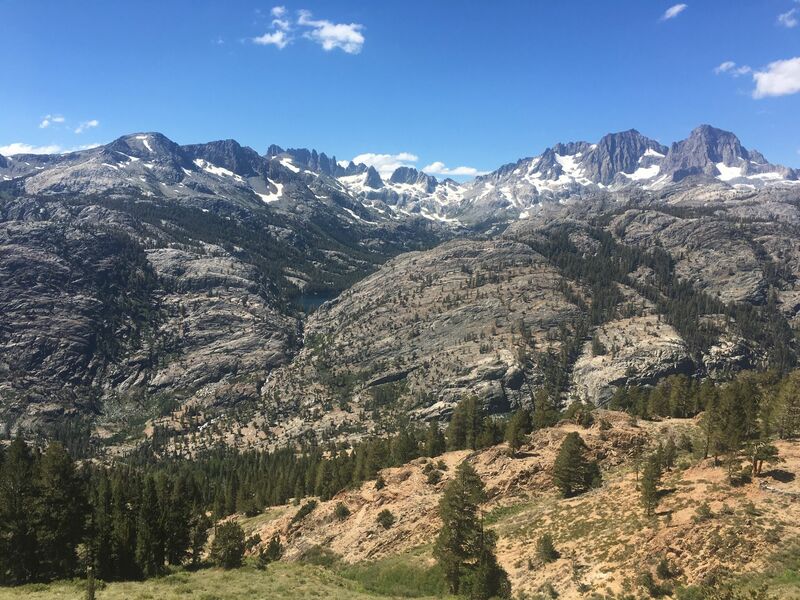 If not, you will have to pay $30 again at the Tioga Pass ranger station. 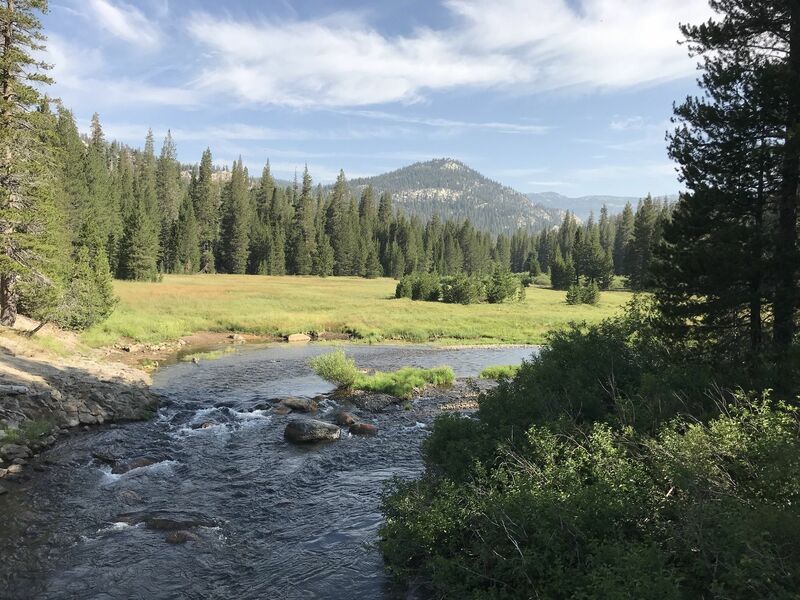 Good news is that both payments add up to $60 which qualifies you for the $60 Yosemite Annual Pass, so now you can go anywhere in Yosemite for free now and not have to pay a fee. I'm not sure how to get those two receipts exchanged for the pass, but Rangers could probably do it then and there. So keep your receipts. My trip was under 7 days, so I only paid once. 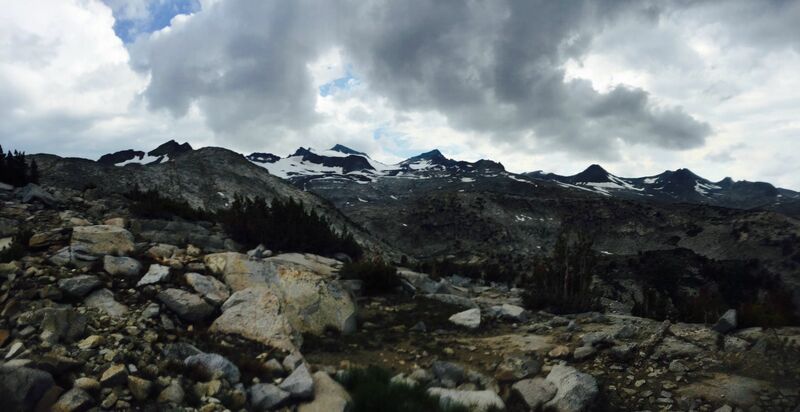 However, my $30 is good towards the Yosemite $60 pass or America the Beautiful $80 pass up to a year I believe. Again, save your receipts either way. 2) Permits: 2 $5/person permit reservations plus a $6/group reservation fee totaled $16. Had to rent a bear canister for two days at $2.5/day for total of $5. Total for permit and fees for two people was $21. 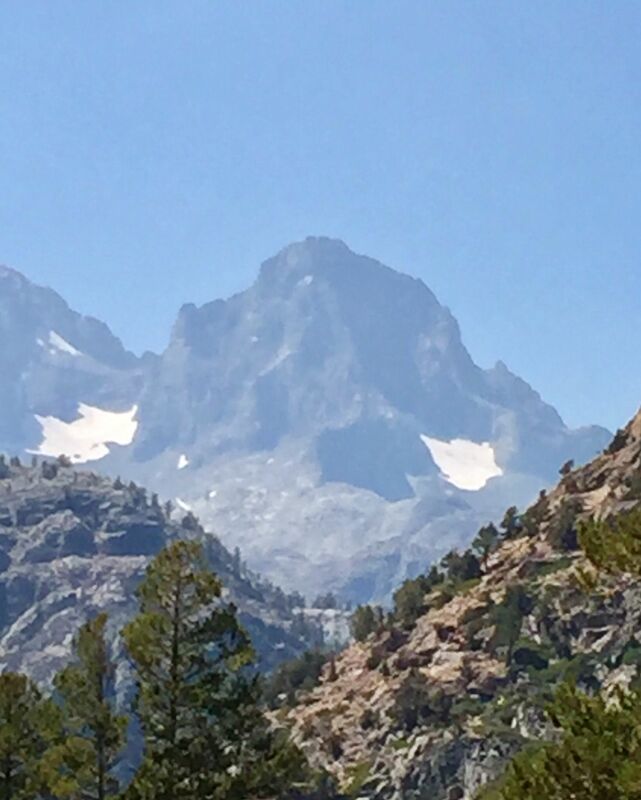 3) Minaret Vista ranger station fee (to get from Mammoth to the Trailhead to park) was $10. Wish I could have stayed longer and climbed Mt. Ritter at Thousand Island Lake on Day 2, then Day 3 hike over the pass between Thousand Island Lake and Garnet Lake and camp at Garnet, then Day 4 hike to Shadow/Ediza Lakes and camp, and Day 5 hike back. Life got in the way, but it was a great trip nonetheless. I also packed too much food, clothes, and water. I hiked in and hiked out in the same outfit, and then slept in clean dry clothes with a jacket. Didn't need anything else. Carried too much water (6L for 2 people) when I could have filtered along the way (didn't know that since I've never been). Used my Sawyer Squeeze for first time which was great. Thousand Island Lake water tasted as pure as it gets. That's all I have. Was a good trip. Hope all that was helpful. I didn't get any of that info when I was researching. This is a great guide! I did a very similar backpacking trip about 7 or 8 years ago. I remember the entire day was spent going from one peak to a lake to another peak, but it was well worth it. I'll have to follow this guide the next time I want to go to Mammoth. I've always wanted to do the trip from Mammoth to Yosemite Valley.